About two centuries ago we weren’t so technology dependent as we are today and this dependency increases every day. It is believed that in the next 50 years, a world of Artificial Intelligence will exist. I am sure even the most non-tech savvy of us can imagine what a world of AI would look like. Self driving cars, robotic doctors, completely automated stock exchanges etc. Well, I am sure you all imagined the science fiction of your dreams, but with AI also brings with it greater responsibility and much greater issues. 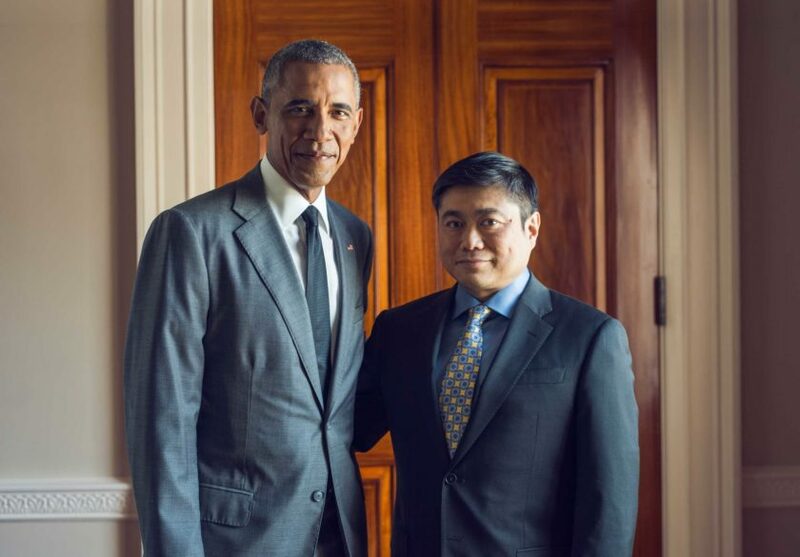 US President Barrack Obama was very eager to address some of the concerns when he talked about these things to Joi Ito, an entrepreneur and MIT Media Lab director. Obama talked about how AI has been slowly creeping upon us and that we are still a long way from having Matrix like AI where AI realizes that humans are stupid and that we shouldn’t exist. Obama also highlighted that despite the fact that AI brings us a lot of benefits, it also has its downsides. It may increase inequality, and it may also eliminate a lot of jobs. Joi Ito during their conversation, brought forward an interesting point of view that many tech ‘geeks’ were more comfortable being around computers than around people. They believed that being around generalized AI would be less complicated and will have less societal problems that we face nowadays. But that is the problem. We may be able to create a world of computers that can think for themselves, but how do you create within them societal awareness? To ensure that every year we make some significant improvement and still are able to instill the ethical aspects that are of great concern to everybody, government involvement and funding is necessary even if it slows things down. The President also highlighted that the government tries to ensure that one set of technology is not monetized or hoarded by one group and that everyone is able to benefit from it. Controlling AI to a certain degree is absolutely necessary. If an algorithm is developed that ensures success and one person gets access to this algorithm; it may bring down the stock market pretty quickly. If an algorithm was found that could mess with nuclear missiles or codes of a country, it could raise questions of safety for the humanity at large. It is hence absolutely necessary to determine who wants to use AI for the benefit of the people and who wants to use AI to get power. “Part of what makes this an interesting problem is that the line between offense and defense is pretty blurred,” the President said. Obama said that it is right to fear that people may lose their jobs, but we have seen over the years that despite automation, more and more jobs are created. If technology takes over, people with abilities to control this tech may be in demand hence creating more job opportunities. He also considered that people from different fields like arts and culture may be affected more by AI projects. According to the President, we need to come up with economic models that will accommodate people from all levels of income and ensure that basic needs are fulfilled. Jobs like auditing may become redundant but it fields like teaching, what can computers do? Information may be provided, but you cannot completely eradicate the efforts put in by teachers? How will you pay them? When asked that what technology he would want to solve the problems, governments have to face, the President listed multiple things that he would want solved and terrorism was one of them. He even described what his fist impression of the Situation Room was. He said that he imagined it to be some super high tech room like in Tom Cruise movies. In real life, however, it is not very true. This made me realize that even Presidents have innocent imaginations where they imagine themselves as part of Tom Cruise movies! The President also talked about environmental issues that he would like solved and how he would want to improve space travel. He even referred to himself as a ‘space guy’. On a lighter note, we even found out that Obama is a major Star Trek fan! 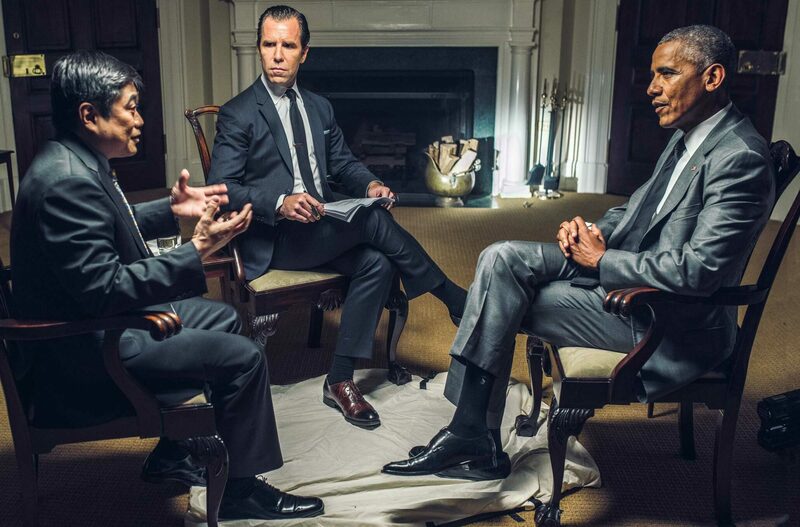 The entire conversation between Joi Ito and Obama was very enlightening as it was a discussion between somebody who understood technology, and somebody who is very optimistic about the future of AI. For more details into this discussion watch the videos and tell us what you think!